A famous general turned ethanol advocate has called for holding what he calls the “Thin Green Line” and members of the National Sorghum Producers should do so, too. Tom Sell quoted the line of Gen. Wesley Clark (USA, Ret. 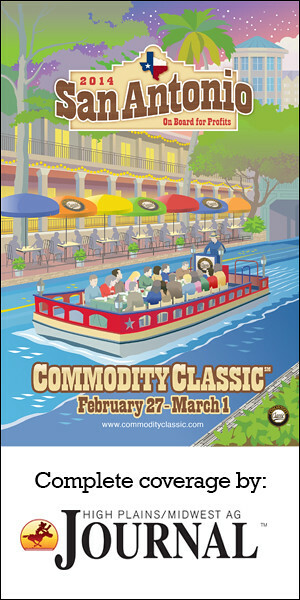 ), during the NSP’s annual general session held during the Commodity Classic. There are about 210,000 U.S. producers who are of any true economic significance. Sell said those 210,000 are a part of the “Thin Green Line” who feed Americans and people all over the world. Producers of this economic significance should make no apology for their beliefs in U.S. farm policy and offered three ideas for how the upcoming 2012 Farm Bill debate ought to be conducted. “First, avoid hand-wringing about your life and be proud of being in production agriculture,” Sell said. “The current programs have worked and need to be strengthened. Don’t give up your position too early. Defend the current policy. “Second, don’t get in front of your leaders in Congress. Don’t get into fights between regions or commodities. Circle the wagons and follow their leads to defend our safety net. That means defending direct payments, too. Don’t think your leaders will throw you under the bus. There’s a lot to be said for them. Sell reminded NSP members of the importance of their work. Sell is former deputy staff director of the House Agriculture Committee and now a partner in a lobbying firm with his one-time boss, Chairman Larry Combest (R-TX). Combest and Sell are NSP Washington representatives. The current House Agriculture Committee chairman, Republican Frank Lucas of Oklahoma, will speak to the Commodity Classic’s general session along with Secretary of Agriculture Tom Vilsack March 4. The NSP board of directors and United Sorghum Checkoff Program executive committee will hold a joint business session March 5.